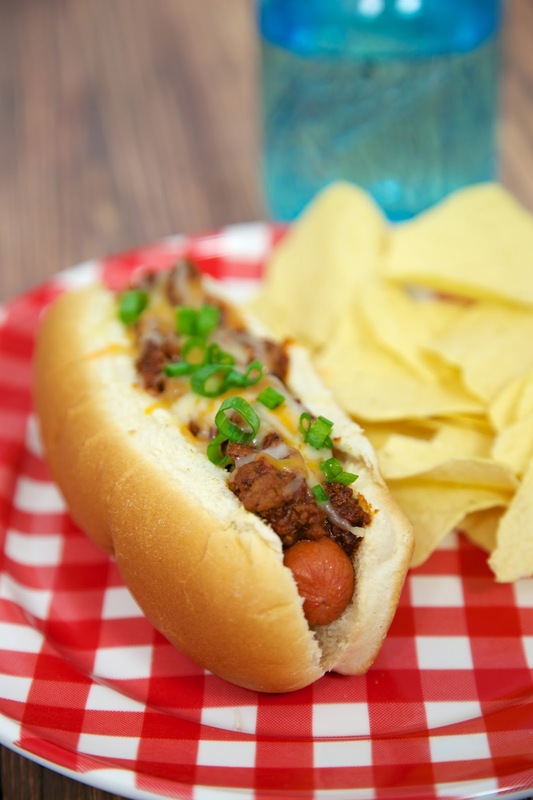 Memorial Day is next week, and these Quick Chili Cheese Dogs are going to be our menu. This is a super quick recipe. 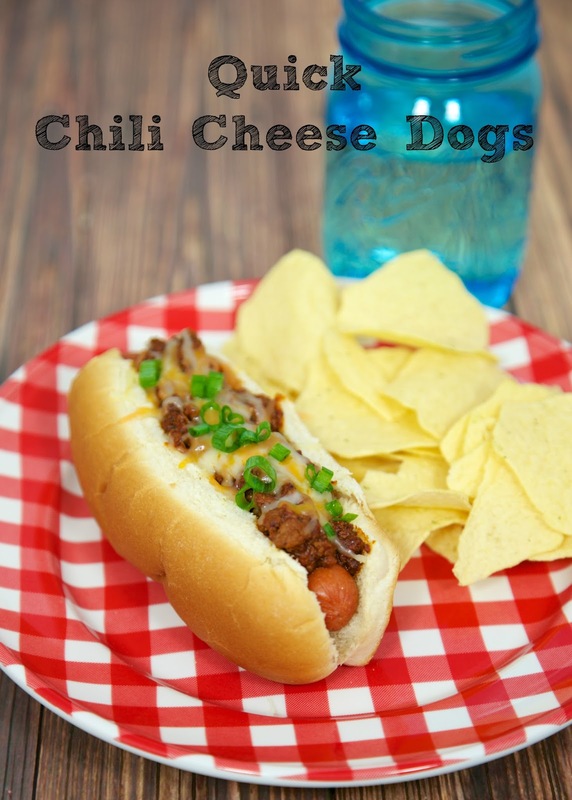 The chili can be made ahead of time and reheated in the microwave when you are ready to assemble these chili dogs. The chili tasted fantastic. It is good enough to stand on its own, but it really puts the hot dogs over the top. These chili dogs are slightly messy. Make sure you have plenty of napkins handy! And please don't be wearing white while you are eating these!! In a large skillet, cook ground chuck until browned. Drain fat. Add onion flakes and garlic. Cook until fragrant, 30 seconds. Stir in tomato sauce, chili powder, salt, pepper, and water. Bring to a boil. Cover and reduce heat. Simmer for 25 minutes, stirring occasionally. Place hot dogs in buns. Top with chili, cheese and green onions.